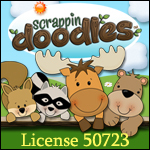 Today the 22nd Romping & Roaring ABC Pack to come out! Finally Q is out in the Romping & Roaring ABC Packs! We are in the second half of the ABCs now. There are 35 packs in total. If you don’t want to wait for them to come out every 2 weeks, you can buy it in advance for $25. Plus 8 (yes 8 I added two new ones) really neat Extras (135 pages in total for them) that are only in the sold set at my Teachers Notebook Shop and my Teachers Pay Teachers Store. The total pages for the selling set is 1682 pages! At $25 dollars for the whole series, that is 1-1/2 cents per page! 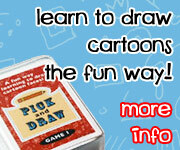 Be sure and check out the new extras. 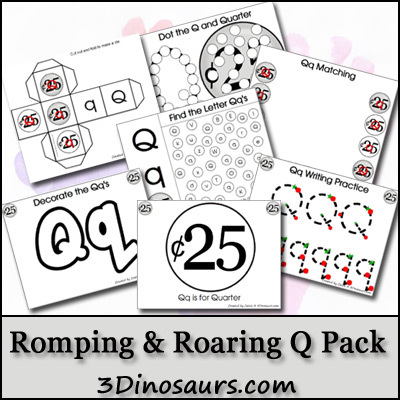 Click here to get your Romping & Roaring Q Pack!